Both cottages can be interconnecting and sleep up to 10 persons in all. 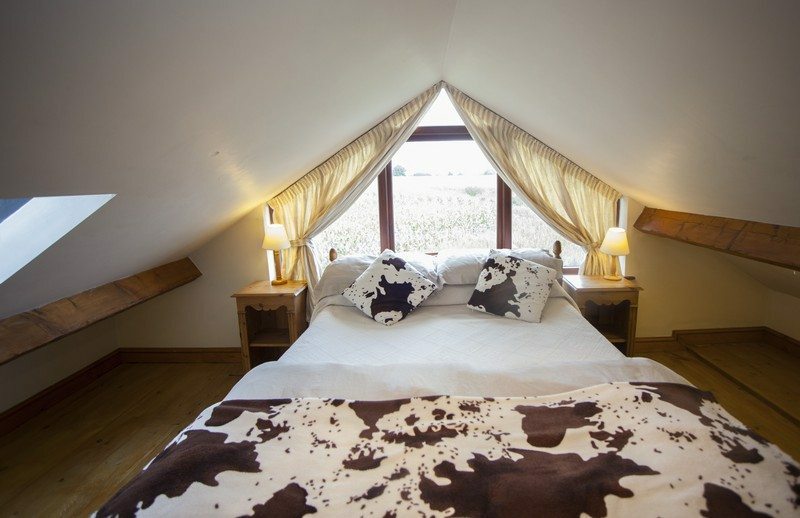 The semi detached Cow Byre Cottages both have a galleried double or twin bedded bedrooms upstairs. Downstairs, Cow Byre 1 has a room with adult bunk beds and a single bed whilst Cow Byre 2 has a double or twin bedded room with a single bed. Each cottage has a ground floor bathroom with toilet, bath and shower. Should more bedrooms be required then we can offer our ensuite rooms most of which are infront of the cottages . Both cottages together are popular with well behaved hen groups and families meeting up. Well behaved and friendly dogs are welcome in both cottages if arranged beforehand.